Both the state and federal governments are extending moratoria on new home health providers. 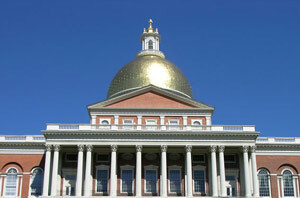 MassHealth will be extending the six-month moratorium on new home health providers, which will become effective on August 12 for an additional six months, according to MassHealth. The Home Care Alliance has been supportive of the measure and has collaborated with the state Medicaid office on program integrity efforts, but attempts to kick-start a state oversight policy for home care agencies have been unsuccessful. In a letter requesting the initial stoppage on new providers from Massachusetts Health and Human Services Secretary Marylou Sudders to federal HHS Secretary Sylvia Mathews Burwell, it was noted that home health spending under MassHealth increased 41% from fiscal years 2014 to 2015. The letter continued to explain that 85% of that growth was driven by providers that were new to the MassHealth program since 2013. Meanwhile, the Centers for Medicare and Medicaid Services (CMS) announced that they will be not only extending their temporary moratoria on enrollment of specific locations within Florida, Illinois, Michigan, Texas, Pennsylvania, and New Jersey, but will also be broadening moratorium across each of those states. CMS has determined that the factors initially evaluated to implement the temporary moratoria show that a high risk of fraud, waste, and abuse exists beyond the current moratoria areas, which may suggest that a high risk of fraud, waste, or abuse exists due largely to circumvention of the moratoria by some providers and suppliers. The primary means of circumvention includes enrolling a new practice location outside of a moratorium area and servicing beneficiaries within the moratorium area. Additionally, CMS has continued to see areas of saturation that exceed the national average in the moratoria states. As a result, CMS, in consultation with the OIG, has determined that it is necessary to expand the temporary moratoria on a statewide basis, by implementing temporary moratoria on all newly enrolling HHAs in the remaining counties in Florida, Illinois, Michigan, and Texas, and on all newly enrolling Part B non-emergency ground ambulance suppliers in the remaining counties in Texas, New Jersey, and Pennsylvania, in order to combat fraud, waste, or abuse in those states.